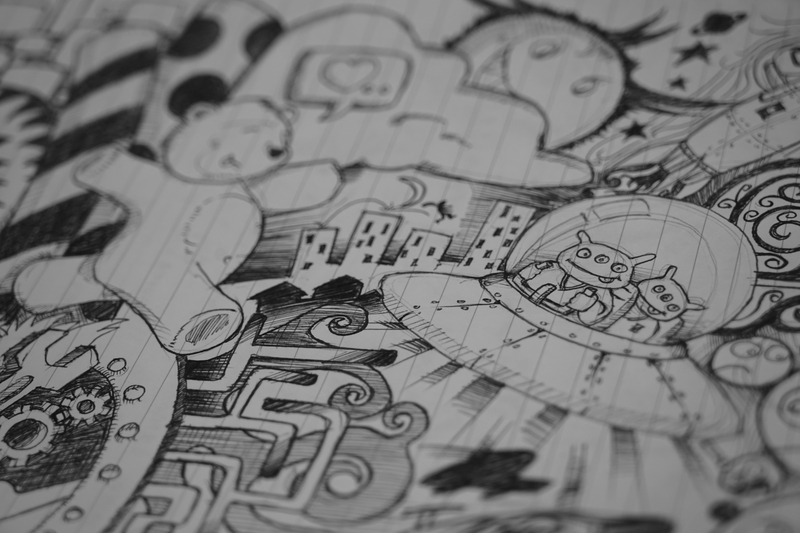 Contrary to what your school teachers thought, doodling can actually be a productive activity. Defined as ‘absent minded scribbling’, doodling isn’t supposed to be laborious, nor does it have to result in a polished piece of art. Doodling can be so much more than a mere distraction from boring meetings (although it does come in useful in these situations too). 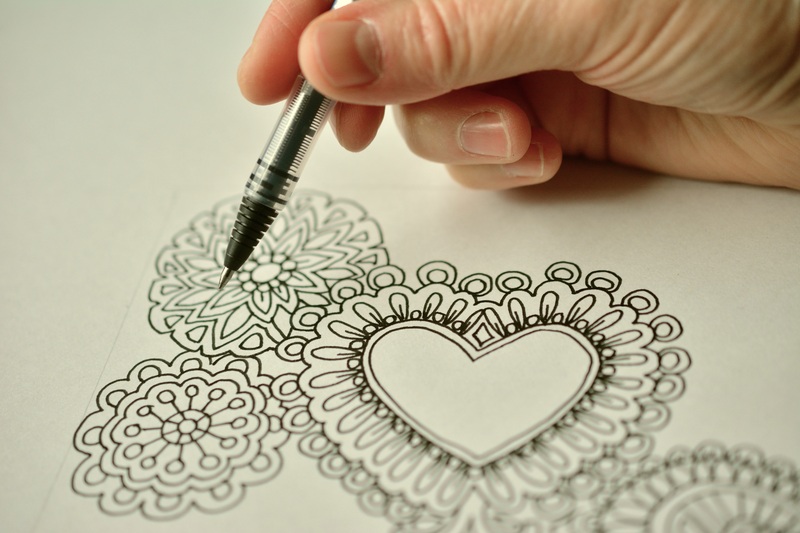 It’s a fun art form that can reduce your stress levels, improve your drawing skills and help you become more creative. So how can you get started? Learn how to doodle using these tips. If you haven’t already, invest in some supplies for doodling. You can keep it simple with a few pencils and a sketchbook, or mix it up with colourful pens and pencils, charcoal, pastels or chalk. Everyone’s different and you’ll know what you feel comfortable working with. Not particularly confident in your drawing abilities? Don’t worry! There’s no pressure when it comes to doodling. It’s not about producing a masterpiece; it’s about getting whatever’s in your head onto the page. To start with, draw simple shapes like flowers, hearts and swirls, small animals like butterflies and bees, and patterns too. You can even doodle names in fancy letters. The beauty of doodling is that you don’t have to over think or be self-conscious. So whenever inspiration strikes, get doodling! Whether it’s a place, person, song, animal or even just a concept, it’s good enough for a doodle. If you’ve got some spare time to doodle away and nothing comes to mind, what can you do? Draw something in your immediate surroundings, using what you can see, smell and hear to drive the doodle. Keep some of your supplies with you while you’re out and about in case you find inspiration. One great way to tap into your creativity is to play the word association game. Doodle something you’re thinking of, or something in your vicinity. Then draw another thing that you associate with the subject of the first doodle, and keep it going until you’ve filled the page. For example, if you doodle a dog, you might think of the word ‘bed’, then ‘sleep’ and so on. This is a fun creative outlet, so why not see where it takes you? Want to dabble in more art forms? Check out our guides on learning how to sketch and creating your own pop art.